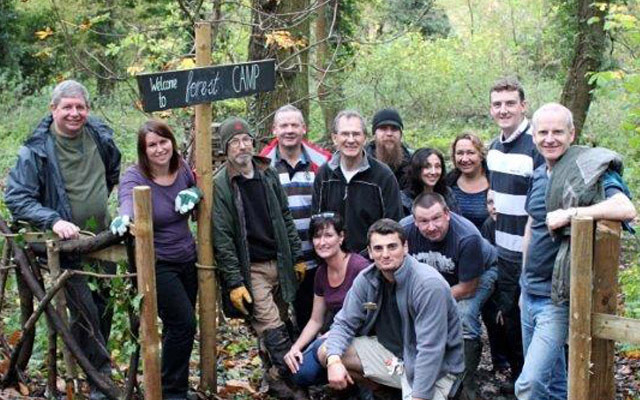 Corporate Volunteer Days are a wilder way to make a difference right here in Bristol. Our Corporate Volunteers are fundamental to the continued development of Wild Place Project; helping us to achieve our charitable conservation and education activities. The Volunteer Days are a great opportunity for teams to reap the benefits of working together to complete tasks, whilst being outdoors away from normal routine. Get stuck in and you might find yourself creating pathways, helping develop an enclosure or constructing areas of play - all with our wild and rustic approach! Tasks will vary depending on the time of year or our current exciting projects. We can accommodate groups of most sizes and aim to meet your needs where we can. To find out more about our projects and where you can get involved, please contact corporate@bzsociety.org.uk or call 0117 4285 313. "This would never have been the day it was had it not been for all the enthusiastic staff of Bristol Zoological Society’s Wild Place Project. We thank them for their help, guidance and the bucket loads of encouragement offered and shown. This all made for a memorable day…Most of all it gave us an opportunity to give a little something to a very worthwhile cause.” Volunteer from Allianz.